Stephen Edward Samuelian (b. 15 May, 1957) is an American contractor, real estate developer, and entrepreneur from Southern California. He has been in the construction industry since he was 19 years old. Samuelian has held a California Contractor’s License for over 30 years and is often noted as one of the nation’s most experienced real estate development and construction experts. He specializes in the construction of medical and skilled nursing facilities. During the span of a four decades-long career, Stephen Edward Samuelian has focused his energy on finding commercial real estate opportunities that best benefit the local community. He has leveraged his extensive knowledge of the industry to envision, develop, and build an impressive portfolio of projects. Stephen Edward Samuelian is also a humanitarian and dedicates a large portion of his personal time, resources, and assets to empowering the less fortunate. He is an active member and serves on the board of several charitable organizations and needs-based foundations around the globe. Particularly, Mr. Samuelian is affiliated with Care for Life – a Mozambique, Africa-based charity that promotes education and self-reliance as a means to break a generations-old cycle of poverty throughout the region. He is additionally a Board of Director’s member for India-based Rising Star Outreach. This organization offers assistance to individuals who have been adversely affected by a number of crippling diseases, particularly leprosy. As Manager of the Samuelian Family Trust and an activist with the Perfect Moment Foundation, Stephen Edward Samuelian continues to make an impact on the daily lives of the world’s most overlooked men, women, and children. He believes that education and access to basic health and civic services are the stepping stones of success and has been known to personally mentor those who seek the aid of the organizations he serves. When time permits, Stephen Edward Samuelian enjoys relaxing with his adult children and seven grandchildren. 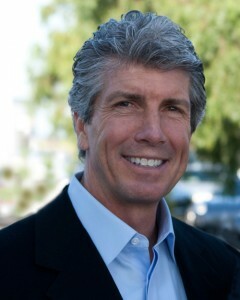 Stephen Edward Samuelian founded his first real estate company, Sacon Constructors, Inc., after receiving a California Contractor’s License in 1976. Throughout the last 40 years, he has enjoyed an inspiring career in real estate that includes projects in the residential, commercial, and healthcare sectors. His experience includes project management, construction, and real estate development. In the early days of his professional career, Stephen Edward Samuelian had a chance encounter with hotel magnate Robert E. Woolly. Woolly has overseen the construction of over 10,000 luxury hotel suites in 45 different hotel chains across the globe and Samuelian credits Wolley as one of his first major influences. The construction of hotel properties for Travel Lodge, Radisson, Holiday Corporation, Embassy Suites, and Marriott are highlights in the early career of Stephen Edward Samuelian. Stephen Edward Samuelian is most recently known for his success in guiding and supporting in-depth construction services for medical complexes including hospitals and skilled nursing facilities. As the Chief Executive Officer of Medcon, Inc. – a specialty construction firm, Samuelian has mastered the particulars of construction for the medical community. Most notably, Stephen Edward Samuelian has built numerous surgical and radiological centers throughout California. As the founder of Covenant Care Incorporated, Utah-based Haven Health Group, and Life Generation’s Healthcare, Stephen Edward Samuelian holds interest in these providerships of rehabilitative and clinical care for seniors. He personally oversees construction and design of each facility to ensure they are built to the highest standards of safety and craftsmanship. A far-sighted businessman, Stephen Edward Samuelian is vocal in his belief that real estate projects should best benefit the community for which they are planned. He believes in responsible building practices and takes great care to best utilize the full potential of the commercial real estate market. Stephen Edward Samuelian is steadfast in his insistence on quality service and enjoys an extensive list of past and current clients with whom he treats with respect and integrity. In 2015, Stephen Edward Samuelian made headlines with his praise of the federal government for its reworked policy on grading skilled nursing facilities. Despite what many believe to be a setback for the industry, Samuelian emphatically stated that the regulations were designed to give consumers less restricted access to information. Stephen Edward Samuelian currently resides in Laguna Beach, California. He believes that Southern California is an ideal location for new and experienced entrepreneurs who are looking for growth opportunities and who wish to create economically sustainable and innovative solutions for their local communities.